However for Franccesco it's not simply about the performance but more intrinsically about how the music plays a part in life and experience. His desire to more deeply understand the qualities of sound led him through his engineering foothold at SAE in 2004. Even beyond the studio he's constantly exposing himself to new sounds, multiple genres, events, venues, sights, tastes, anything and everything plays part to influence the musical soul. Then comes the second half, born and raised in Central Florida Luke Hunter first found his love for electronic music amongst the late 90's rave scene streaming through the state. With a passion for good music Luke set forth at an early age to pursue the dynamics of audio and quality sound. Rising through the ranks of technician to audio engineer and producer, Luke soon completed his bachelors in productions from the University of Florida in 2005. 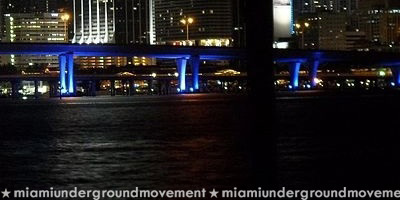 After Gainesville's music scene tapered off shortly after 2001 Luke found himself searching to reconnect and heading south to the heart of WMC territory in Miami Florida. Luke setup shop reassembling his production studio and began his journey rising in the ranks of the Miami music scene. Each and every venue, show and event is taken as a complete experience into sound that maintains the high standard of production and discerning ear that first lead Luke to his love of music. Years of music flow between these two artists but the real synergy takes place when these great minds come together behind the decks or in the studio. Collaboratively Franccesco Cardenas and Luke Hunter fuse as one under the title SanedracHunter and the two have been quickly gaining ground in the Miami scene. 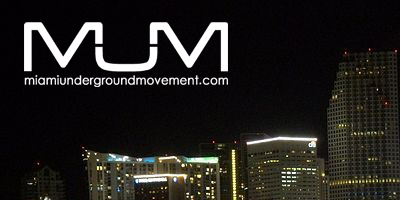 Appearances on WRGP FM and WVUM FM in addition to guest spots on Proton Radio have sent the duos music across the airwaves and even landed them in DJ booths moving south Florida dance floors in addition to a WMC and Ultra Music Festival 2009 appearance. 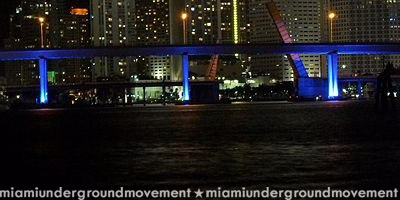 This month plays host to a special exclusive mix for the Miami Underground Movement. 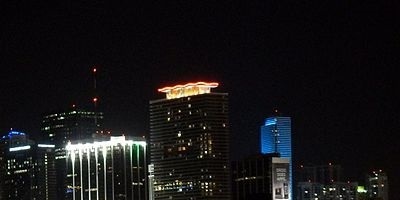 The Artists will be in Miami WMC 09 @ Doraku Lounge March 26-South Beach-Come and Play Party by Wiked Productions. Special Thanks To Franccesco & Luke.